West Chester, OH, USA; March 2018—Color-Logic has certified the HP Indigo 30000 digital press for metallic carton applications. Confirming the certification, Color-Logic CTO Richard Ainge commented: "Test forms and samples files from the HP Indigo 30000 have confirmed the ability of the press to produce all Color-Logic decorative effects and our 250 metallic colors with excellent results. The digital HP Indigo 30000 also enables brands to take advantage of Color-Logic Security-FX techniques in the design and use of variable metallic data for addition security capabilities. 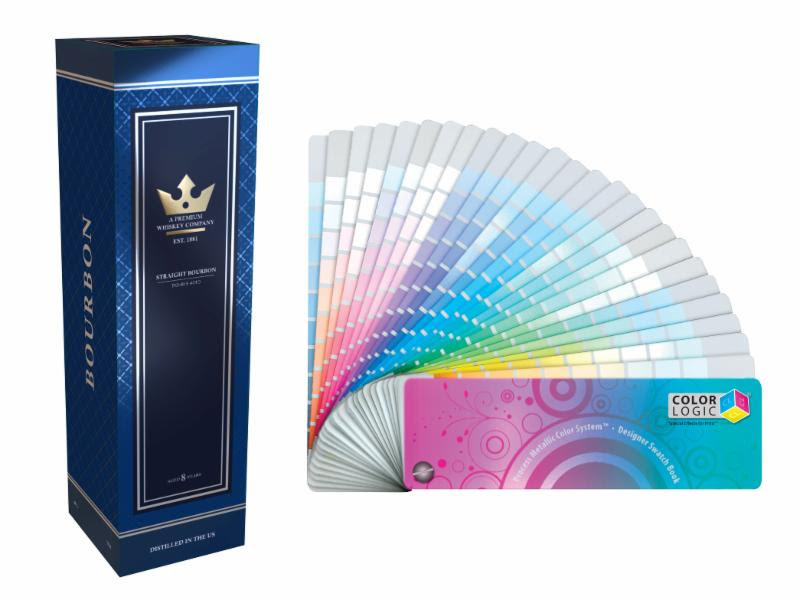 The Color-Logic system and design tools are perfect for any brand desiring to differentiate themselves from the competition. The size and format of the HP Indigo 30000, together with its production speed, open up new markets for licensed Color-Logic printers in the packaging and POP markets.